Orwells is located in the rural location of Binfield Heath, just 5 minutes from the town centre of Henley-on-Thames and 10 minutes from Reading. Also easily accesible from London via Paddington Station, in only 30 minutes. Orwells is housed within an old 18th Century pub building, but far from a pub it is.It has a country atmosphere that boasts a contemporary feel.The style of food reflects the personalities of the chefs, whilst the ethos is to be true to sustainability and the seasons, it has rural provenance with a modern approach. We are recognised for our commitment to a sustainable approach for the future, and are also recognised by all major guides, picking up some prestigious awards along the way. 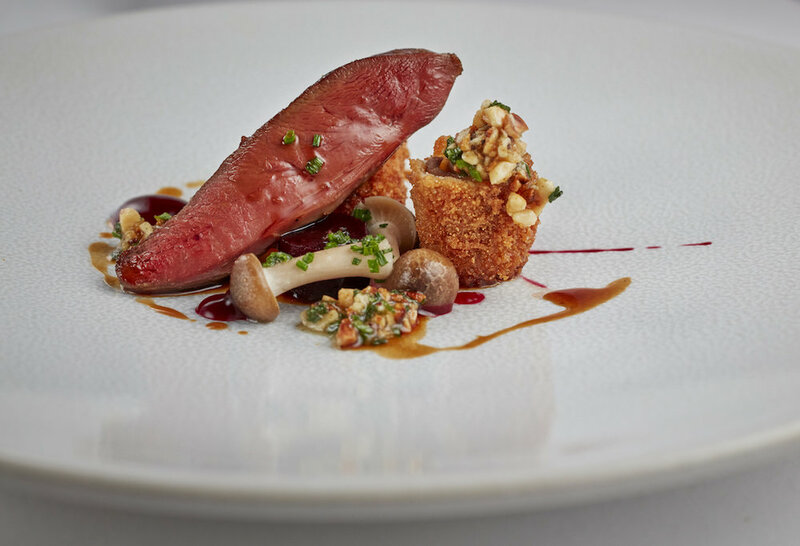 Chefs Ryan Simpson & Liam Trotman previously achieved 2 AA Rosettes, a cooking score of 5/10 in the Good Food Guide and 1 Michelin Star at The Goose in 2010. After leaving The Goose Ryan and Liam went on to open Orwells in May 2010. Born and bred Scouser, Liam got his start as a chef in the famous 60 Hope Street before moving out of the city to work at Bovey Castle, Dartmoor before joining Ryan at The Goose in 2008. Liam has spent a lot of time perfecting the pastry at Orwells along with the bread. Along with the cooking Liam loves to garden and currently grows 75% of the restaurants fruit and vegetables from a small holding in Lower Shiplake. He has now added another string to his bow by becoming a fully fledged beekeeper.